What are the Mysterious Spots in Pluto's equator? 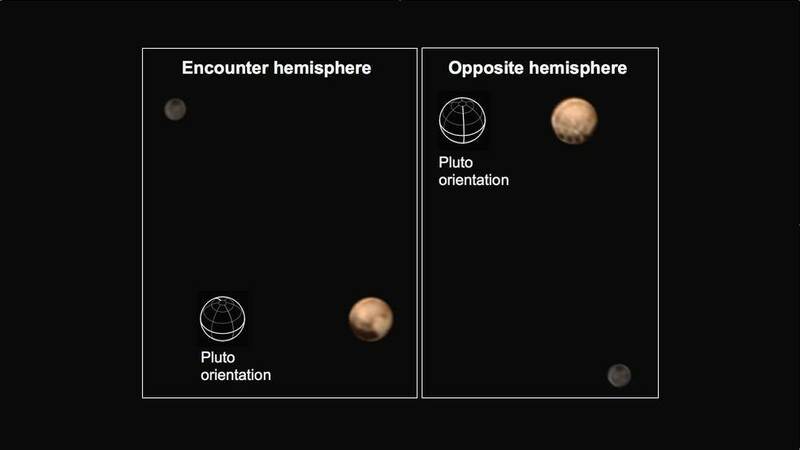 When snaps on Pluto from a distance, a spacecraft belonging to the National Aeronautics and Space Administrasion (NASA), the New Horizon reveal amazing phenomenon in those dwarf planet. When the spacecraft pointing its camera and taking images of Pluto, New Horizon find a large dark region near Pluto's equator, dubbed "the whale", and a roughly heart-shaped bright area spanning 2,000 km. What are those mysterious spots actually? Until now, scientists have not been able to answer it. New Horizon will reveal once successfully passed one of the farthest object in the solar system. 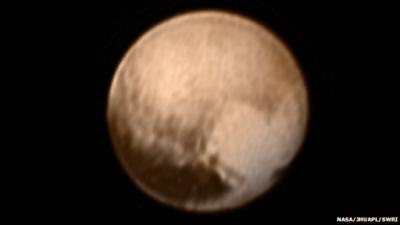 New Horizon will arrive at Pluto's orbit on July 14, 2015. When it arrived, the vehicle was launched in 2006 it will be moving at a very fast speed ie 14 kilometers per second. 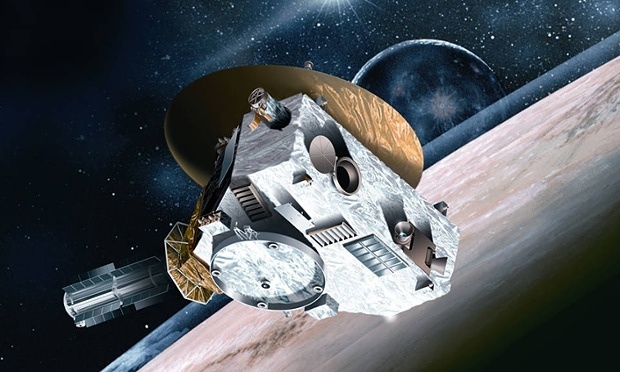 The spacecraft will photograph and take in as much data environment while exploring Pluto and its moons. "We'll get the 500 times better picture on next Tuesday when we passed in the shortest distance," said John Spencer of the Southwest Research Institute in Colorado involved New Horizon mission as quoted by the BBC on Thursday, July 9, 2015.